The SKYLINE range comes in very smart, dark oak veneer, with square stainless steel legs, and base. These sleek pieces bring a touch of sophistication to your room and will be appreciated by all. 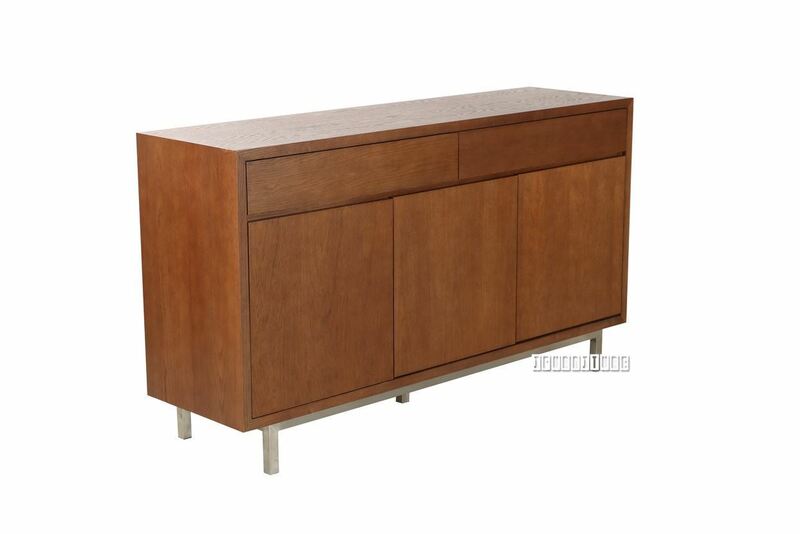 The SKYLINE BUFFET has two drawers above and three doors beneath, just waiting to store your goodies. * Need to attach the legs on. A classical NZ traditional table made with solid pine throughout.